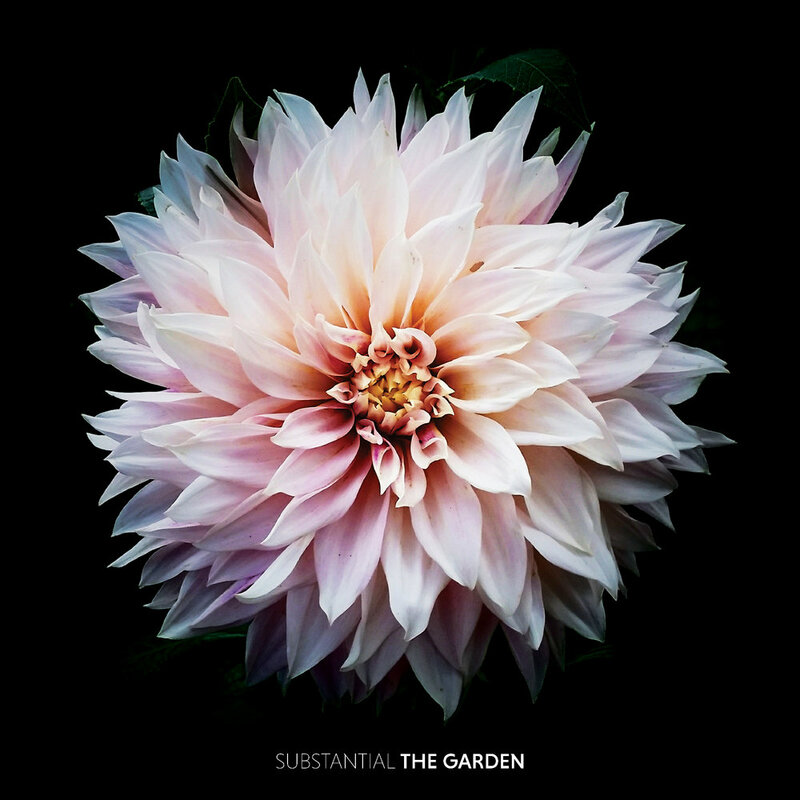 [Release Day] Substantial 'The Garden' OUT NOW! Social Justice, Family, Education, and good vibes are just a few of the topics covered by prolific emcee, artist, and educator, Substantial, hailing from the Washington, D.C. area. For nearly 20 years, he’s given you stellar production paired with phenomenal lyrical commentary, working with legendary producers such as Oddisee and Nujabes, though many times finding himself at the helm of his production and that of others. With his latest release, The Garden, we see him highlight those skills providing a soundtrack to our social lives to be talked about for years to come. It’s an audible experience transcending sound by inspiring visual experiences via the album art and physical experiences through dance and movement the music naturally encourages. The melodies and instrumentation have a home in any setting. The bare tracks are fertile ground for the birth of classic soundtracks, radio hits, or scores. It is a timeless experience with a modern approach. On May 18th audiences will finally receive what they’ve been asking for. The full debut of The Garden, available everywhere. Due to an overwhelming demand for an earlier release of the full album, a single, Beyond The Stage, an airy, virtual voyage into the nightlife beyond mics, stage lights, and soundboards, was released in late April courtesy of YouTube powerhouse music channel Chillhop Music. Substantial states that BTS "is an organic, melodic interpretation of the heartbeat of the nightlife. The things that motivate the players, socialites and everyone else in the scene, scouring hole in the wall lounges and bars in search of the perfect vibe." Listeners are taken to another place. 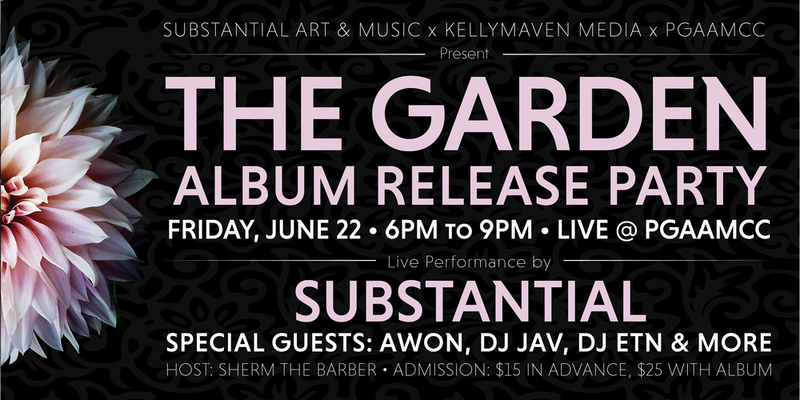 That place and its accompanying vibe, will be crafted for guests at the Prince Georges African American Museum and Cultural Center on June 22nd as Substantial and special guests, Awon, DJ Jav, DJ ETN and more present, The Garden, a family-friendly sensory experience listening party. Substantial Sundays every Sunday at 5pm. Release date May 18th. Check out the latest single HERE. See you this Sunday and don't forget to subscribe. New music produced by Substantial featuring fellow Nujabes collaborator and composer, Uyama Hiroto. Beyond The Stage is the latest single from his upcoming instrumental album The Garden which will be releas on May 18th but is available now for pre-order. Beyond The Stage is an airy, virtual voyage into the nightlife beyond mics, stage lights and soundboards. Substantial states that BTS "is an organic, melodic interpretation of the heartbeat of the nightlife. The things that motivate players, socialites and everyone else in the scene, scouring hole in the wall lounges and bars in search of the perfect vibe." BTS was released a week earlier courtesy of the good folks at Chillhop Music. Although, it's exclusively available on their YouTube channel right now, the single releases on all streaming sites next Friday, May 1st along with the full version on the song with vocals from Substantial and Stephanie Gayle (formerly known as Steph, The Sapphic Songstress). In case you missed it, check out this Q&A session (AMA) with Substantial and Hip-Hop Discord (discord.gg/hiphop) from earlier this week. They discuss Subs influences, the upcoming album and offer advice to young apiring recording artists. Lastly, to the Super SUBporters who subscirbe to Substantial's Bandcamp page, be sure to log in and check out the previously unreleased music video for Spilled Milk from Home Is Where The Art Is which stars Substantial's oldest daughter Serenity when she was only 3 years old! It'll surely put a smile on your face and make you laugh out loud.